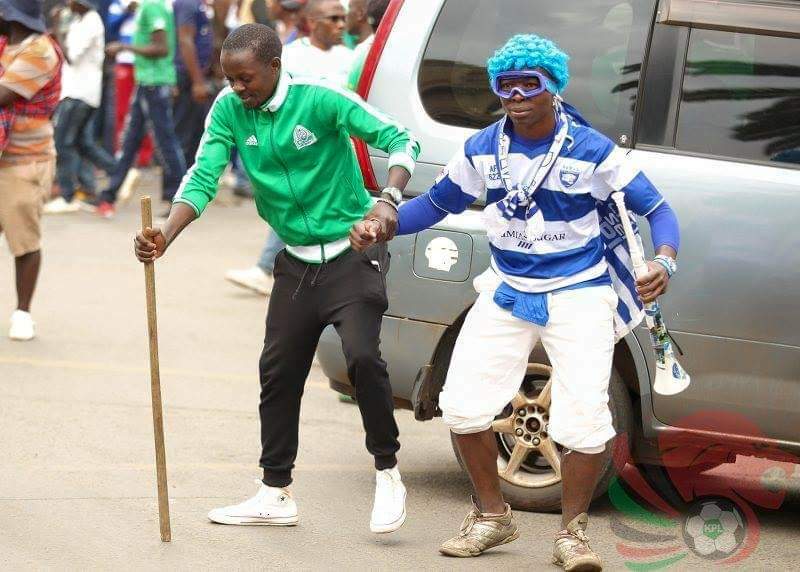 Gor Mahia thumped AFC Leopards 2-0 to register a routine Mashemeji Derby win over their arch rivals AFC Leopards at the Kasarani Stadium on Saturday. The two sides are now equal on head to head record on 27 wins a piece. Heading into the 85th league encounter, Ingwe had a superior winning record of 27 but Gor have now equaled the tally. Kenneth Muguna opened the scoring for the hosts in the 15th minute with a low shot inside the box, a lead that lasted into the breather. Earlier Muguna had a chance to break the deadlock but his point blank shot was saved by Rwandan keeper Eric Ndayishimiye. Overall K’Ogalo were better and bossed the entire proceedings. They added the second in the 64th minute through Francis Kahata who delivered one of his trademark freekicks direct into the net. The victory takes Gor Mahia, who are the defending champions, to second in the KPL log on 22 points – two off leaders Mathare United, who have played a GE more. The coach Hasan Oktay side next face Petro Atletico of Angola in the Caf Confederation Cup on Wednesday in Luanda.